COST: $200-$300 for the rental, plus gas and ice! This could add another $50-$100 on your trip depending on how far you want to go. Consider the cost of our half day charter at $500, which includes fuel, ice and your first 12 pack of beer! SKILL / EXPERIENCE: Do you have the knowledge and experience of maneuvering and docking a boat? Captain Rich possesses more than a decade of experience in boating which will ensure that you will have an amazing and more importantly SAFE day on the water! LIABILITY: Operating a boat comes with responsibility to ensure the safety of your guests. We would like to remind you that the DUI laws do extend to the water! 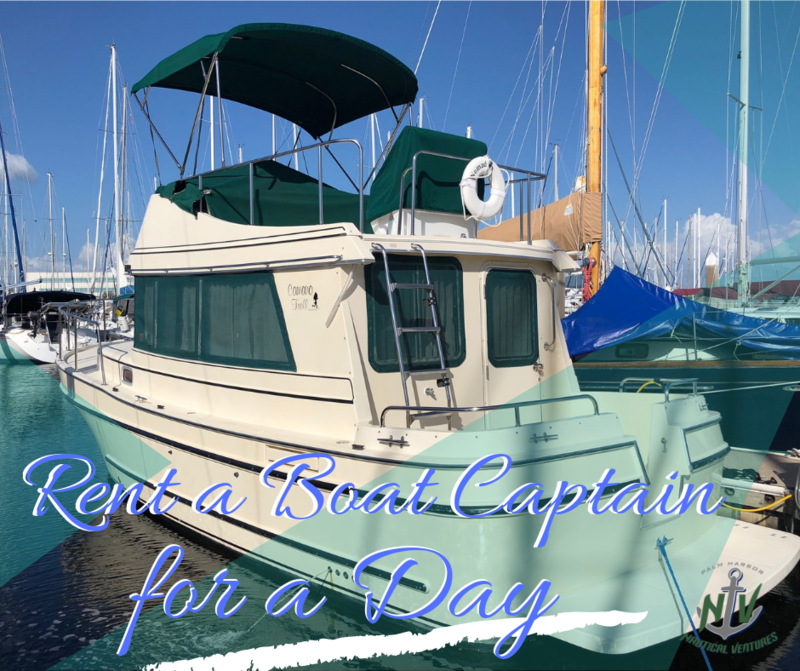 So unless you are an experienced boater and OK being the designated driver while your friends enjoy cocktails on the boat, you may want to consider the peace of mind in having a licensed captain in charge for the day. If you have been searching for a boat rental in the Palm Harbor or Clearwater area, you can still enjoy the seclusion, adventure and romance with our boat charter services. We believe that boating should be fun, thrilling but most importantly worry free. Most of us dream of a day spending on a boat, cruising to secluded beaches, or dining at waterfront restaurants, or previewing the beautiful waterfront homes, or enjoying a sunset cruise, and you are sure to make your day extra special! If you enjoy being on a boat but don’t intend to spend your entire holiday on the water, a day charter with PHNV is undoubtedly a great choice, and will surely be an exceptional day of your vacation. Hit the book button below to start planning a day like no other!